their experience by using certain tricks that enhances the experience considerably. One problem with WhatsApp is that it doesn't allow users to use multiple accounts simultaneously on one smartphone. - Smartphone manufacturers Xiaomi, OPPO, and Honor allow users to access the option from Settings. - It is given by the name of 'Dual Apps', 'Clone App', 'App Twin'. - To create two WhatsApp accounts, the users just need to head to any of these options and turn the toggle. - Unfortunately, the trick can only be executed on Android phones and there is no such option for iPhone users. For those Android devices that do not have system-based cloning, the process could be completed by downloading third-party apps like Parallel Space or DualSpace through Google Play Store. 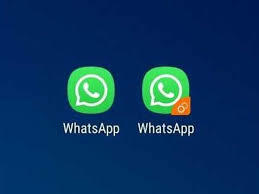 Both apps offer a clean virtual space where you'd be able to create and run a clone of WhatsApp - without root or any other pre-requisite. After the cloning is done, complete regular sign-up process and use two different accounts on the same smartphone.